You know how sometimes your most highly anticipated movie screening is right smack in the middle of your usual eating time (ie dinner time) or at odd hour that leaves you with hardly enough time to grab a proper meal? Now out of these options, you must be thinking 'walio, which cinema will let us watch movie while eating something as luxurious as salmon?' 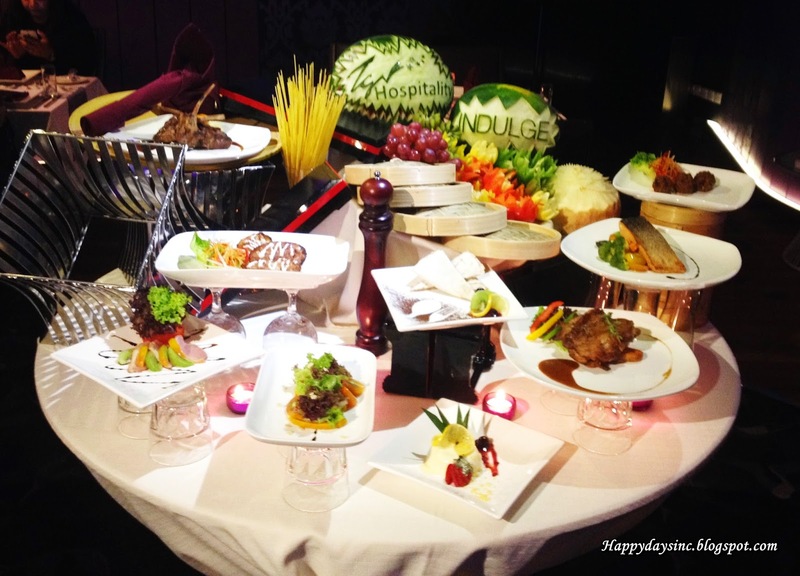 Well, TGV 1Utama will, in the form of their luxurious cinema-and-restaurant concept, Indulge. 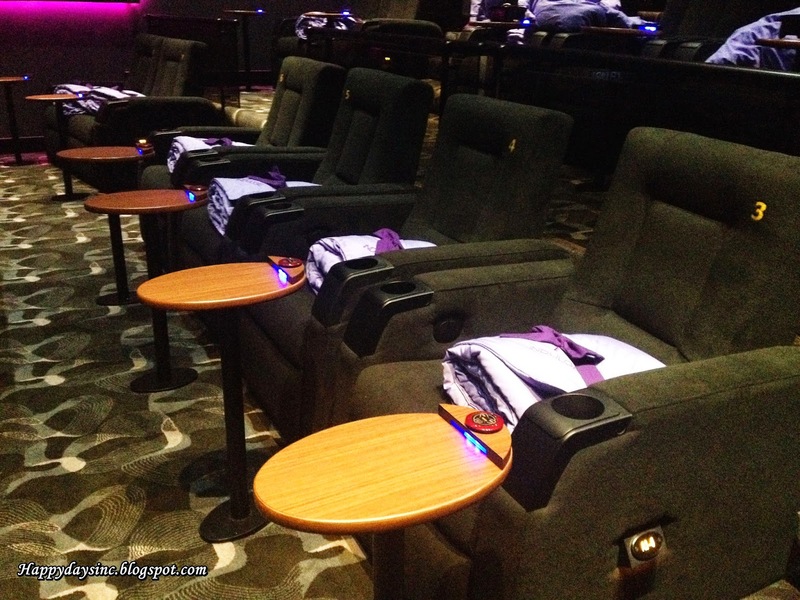 TGV 1Utama is already known for having 10 screens which includes an IMAX theatre, the Beanieplex hall and a LUXE hall which comes with Chillax lounge/cafe. 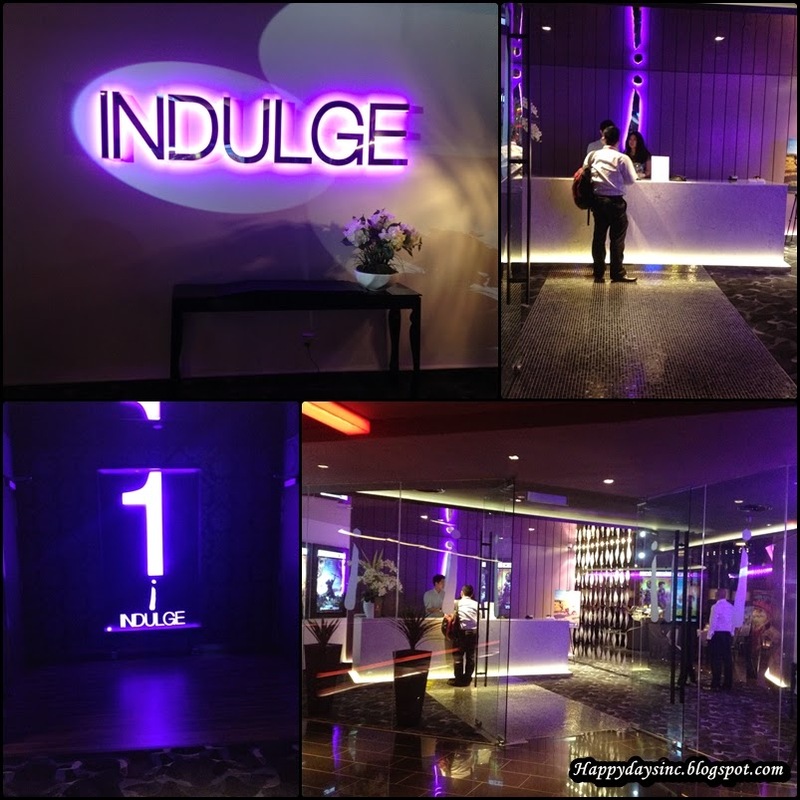 Indulge houses two luxurious cinemas, an exclusive lounge and dining area and its own private ticketing counter. 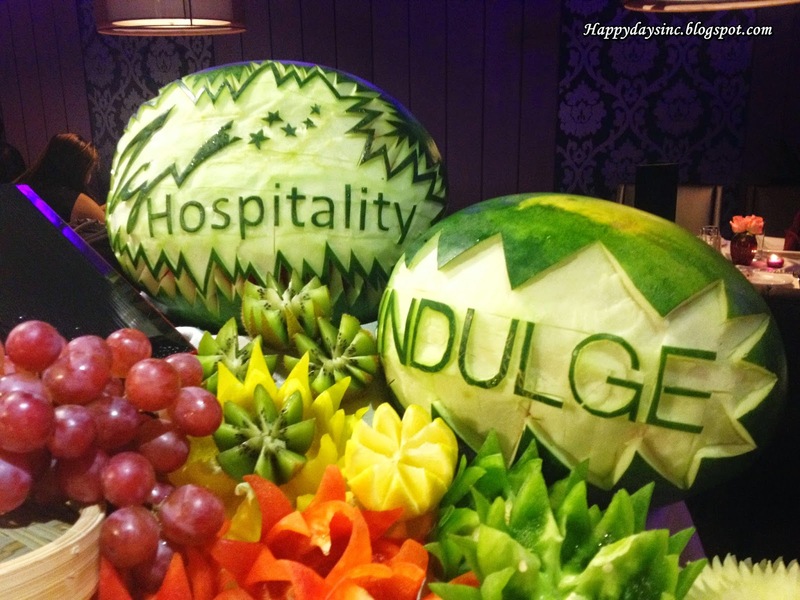 Basically, patrons gain exclusivity from the moment they decide to go with Indulge. 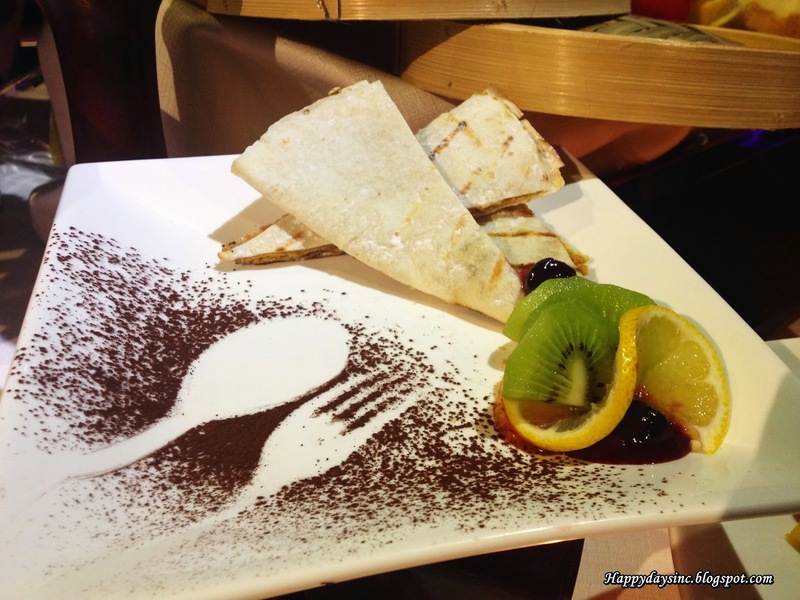 I got a taste of this exclusivity when I was invited there for a food tasting session at Indulge. 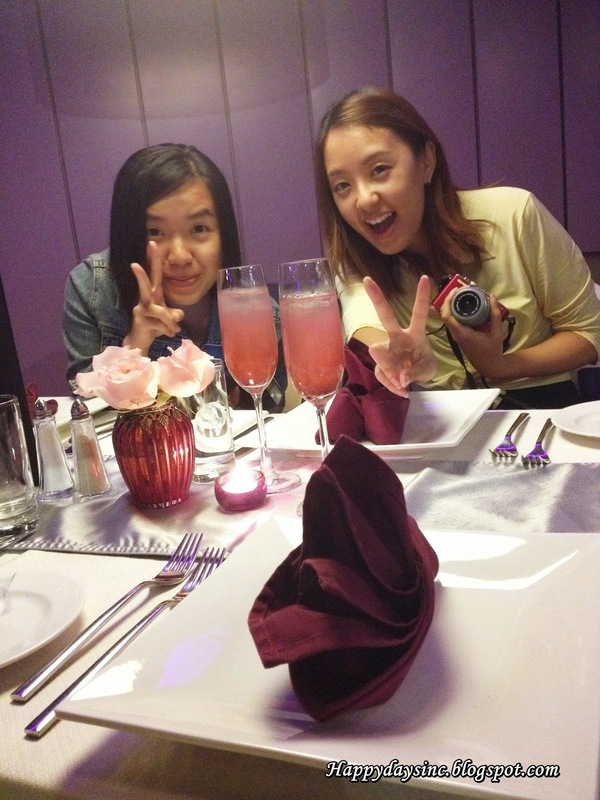 The ambiance of purple lounge eluded elegance, absolute relaxation and fine dining as soon as I checked in with my friends. 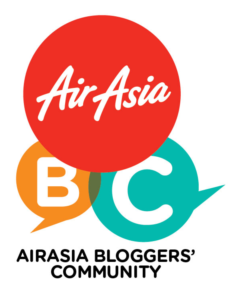 We were shown to our seats and served with virgin mix grape mojito (RM14). 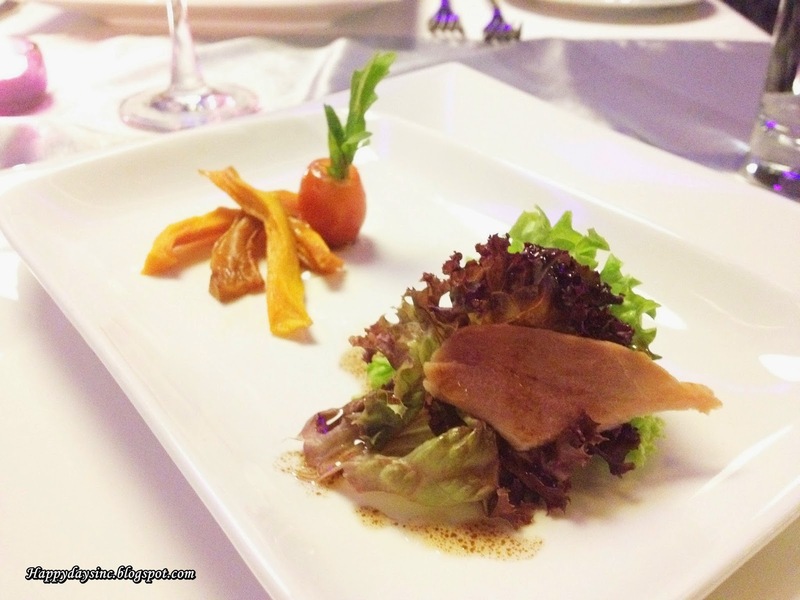 To start, we were served with smoked duck salad (RM15) and pumpkin salad (RM15). Both salads have their winning points with the smoked duck offering a succulent bite of juicy duck breast tossed with a lot of greens, capsium and skewed with kiwi and balsamic dressing. Did you know that kiwi had more vitamin C than oranges? Well, now you do. Between the two, the pumpkin salad was my favourite as it had everything I liked in a salad. The honey roasted pumpkin was sweet and goes wonderfully with rocket leaves, cherry tomatoes and capsicum with balsamic dressing. A good mix in terms of texture and taste and definitely something you don't get often. Moving on, stuffed potato skins (RM12) and lamb koftas (RM14) came next and we dug in eagerly. 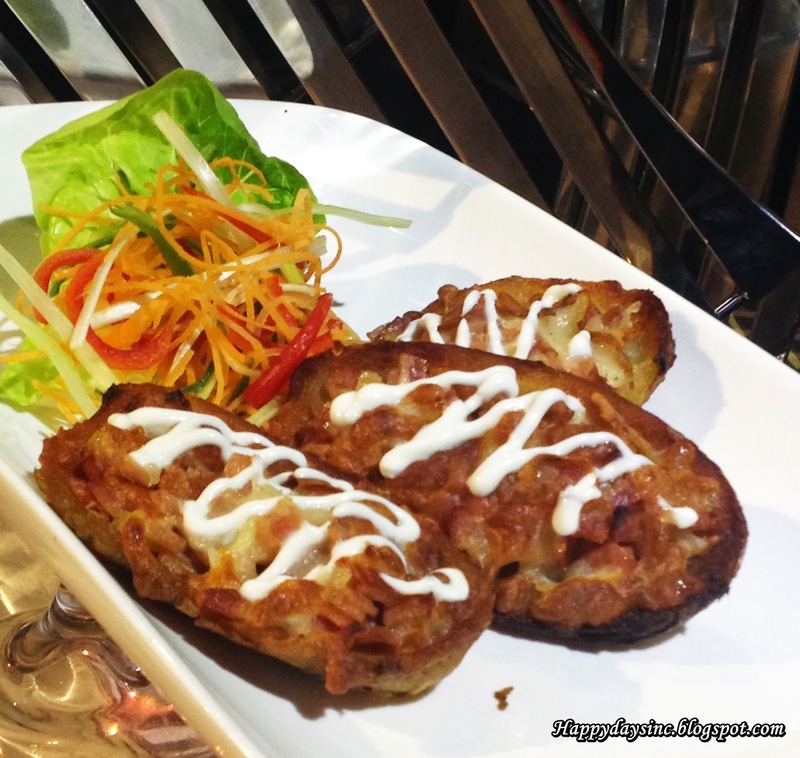 The stuffed potato skins was comfort food indeed as it was topped with turkey bacon and melted mozzarella. Best eaten immediately to allow the heat to infuse the flavours together. 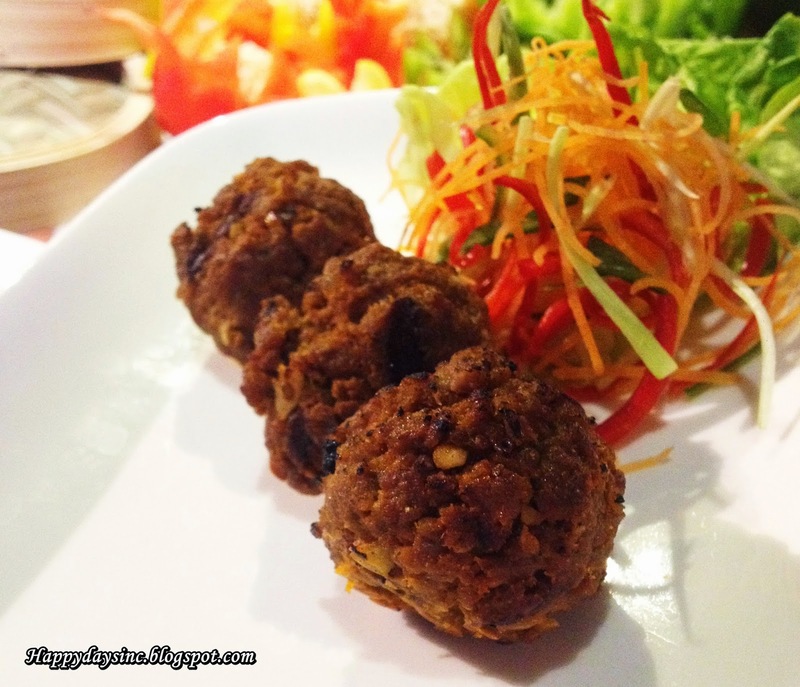 My friend felt that the lamb kofta was a tad salty but as most middle eastern inspired food, I felt it wasn't too bad especially when eaten with its accompanying green salad. It could however stand to be chewier and doesn't crumble once the fork pierced it. 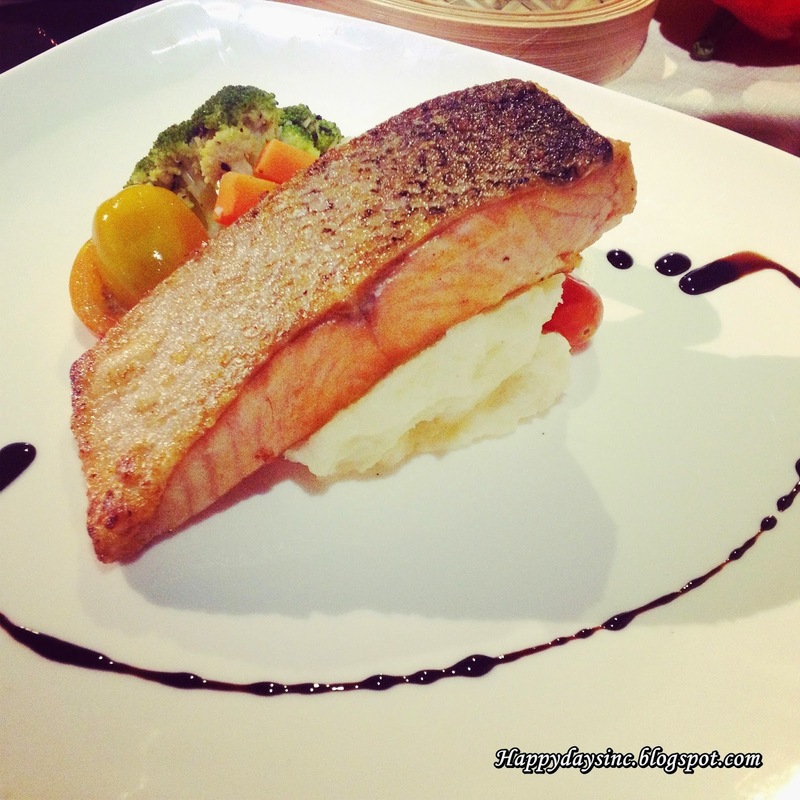 While Indulge offers a wide variety of main dishes ranging from Hungarian beef goulash to grilled ribeye steak, it was their grilled salmon (RM28) that caught my attention (and my tastebuds). 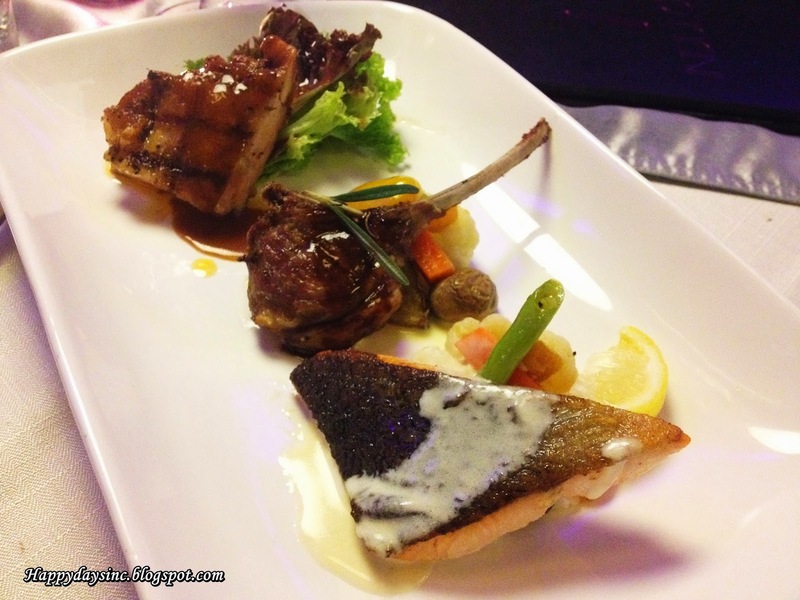 Cooked to perfection, the salmon was fresh, tender and juicy especially when dipped in the lemon butter sauce. To top it off, it came with a helping of mash potato and grilled vegetables. I would also recommend their cajun chicken (RM20) that came with a grilled succulent chicken thigh with cajun seasoning. 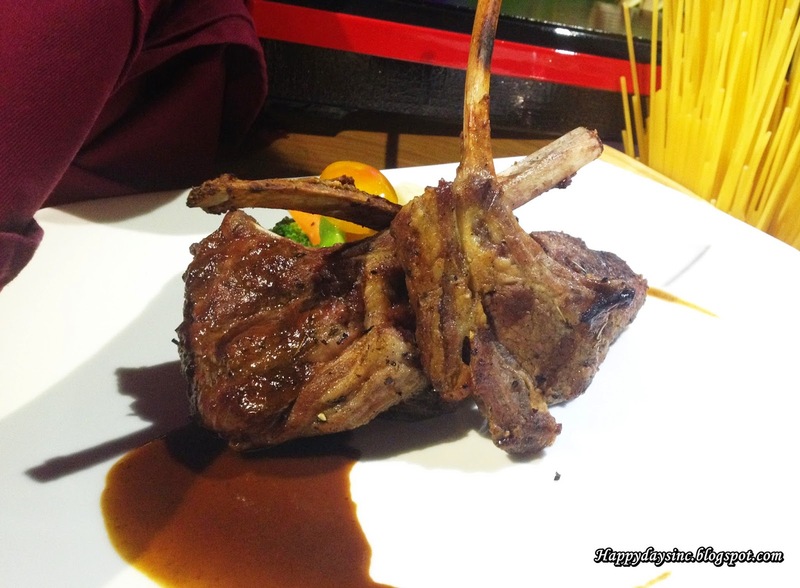 The grilled lamb rack (RM28) was an acquired taste, I supposed, as one of my friends didn't eat hers. I helped her with it though, licking up every bit of the rosemary sauce. 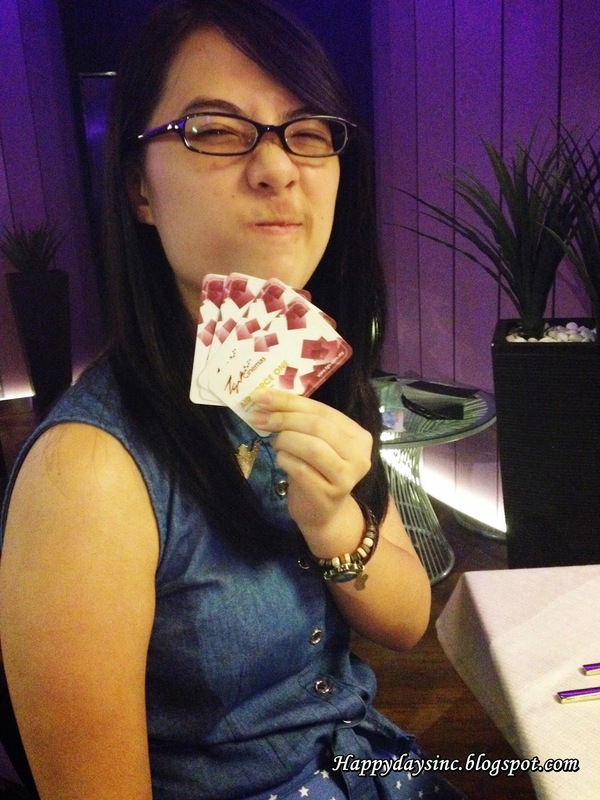 After we were satisfactorily settled with dinner, it was lucky draw time and lo and behold, Elie Lam walked away with two pairs of movie tickets in Indulge. 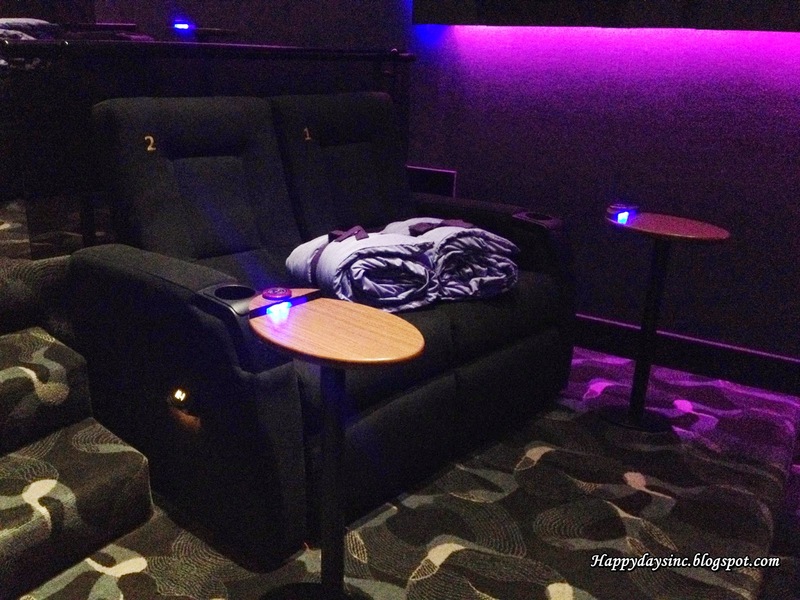 We were then ushered to cinema 2 of Indulge where we were invited (quite literally) to make ourselves comfortable in their massive, reclining seats. The inclusive blankets were quickly unfolded and my friends and I made ourselves snug in it. To call for service or to order your meal, the seats also come equipped with a table and buttons to summon a waiter to assist you. While we were experiencing the cinema's luxurious facilities while watching trailers of upcoming blockbusters, dessert was served in a cute Japanese bento box. 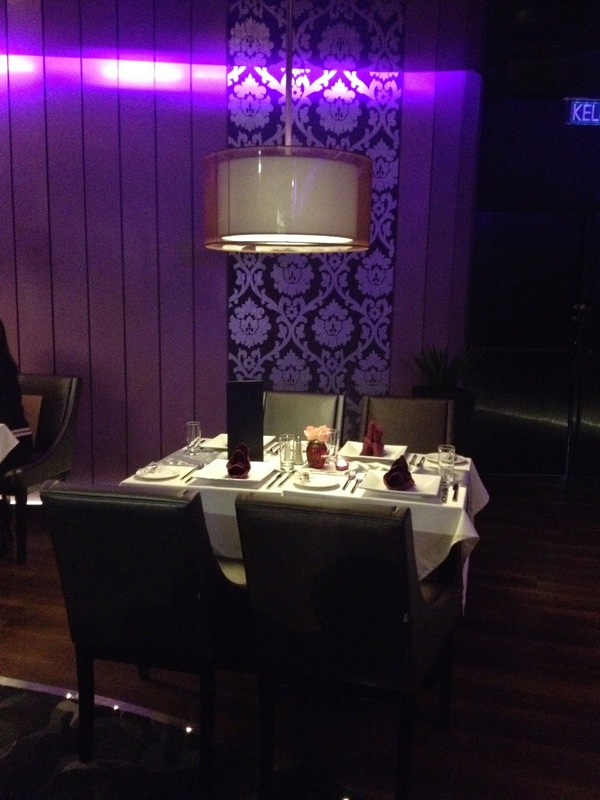 A detachable table was installed across the seat to allow us to enjoy our Panna Cotta (RM12) and Nutty Tortilla Banana (RM12). 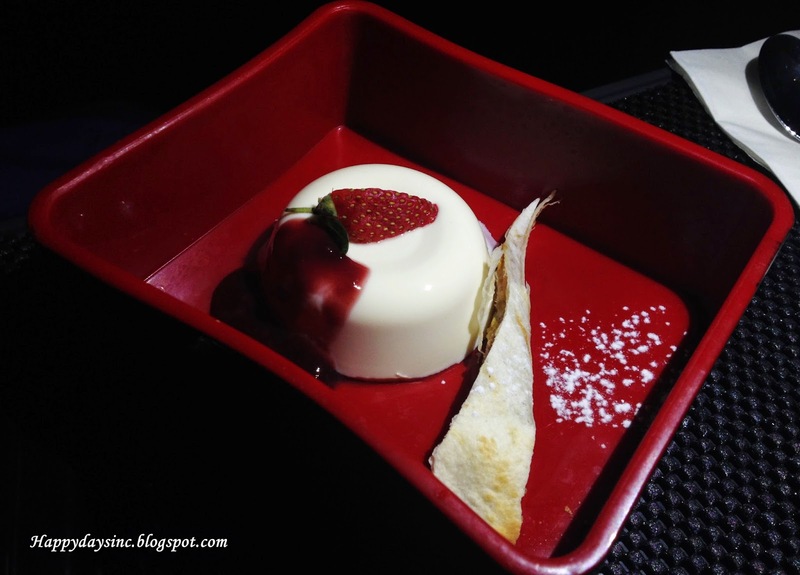 I enjoyed the Panna Cotta the most especially when its sweetness was balanced with the raspberry puree. The tortilla, not so much because it had peanut butter in it. Besides that, I also found it oily which marred the taste altogether. We were in fact so comfortable in our seats that we watched the trailers twice. The only downside of Indulge was that the toilets was located downstairs, near to the lounge bar and was quite a walk from the cinemas. All in all, Indulge is the place to go if you are looking for that extra something while on a movie date or just simply looking to treat yourself. With Indulge, you don't have to worry about being late for your movie and/or skipping or missing up your eating routine.